Discussion in 'Alienware M15x' started by True Debreuil, Aug 28, 2018. Hey all just wanted to let everyone know despite what i see people being told the 980m 8gb Gsync version DOES work inside of the m15x. The only thing I did was change the active lfp setting in the bios to edp and it worked plug and play. I did have to modify the inf file but that was not too hard. https://www.3dmark.com/3dm/28345363? Firestrike score. Even though my Cpu was clocked at 28x28x28x27 stable at a low tdp and tdc I needed to increase it for the clocks to hold across all 4 cores. The max I've been able to get the gpu temp is 81 with firestrike looping for 15 minutes. 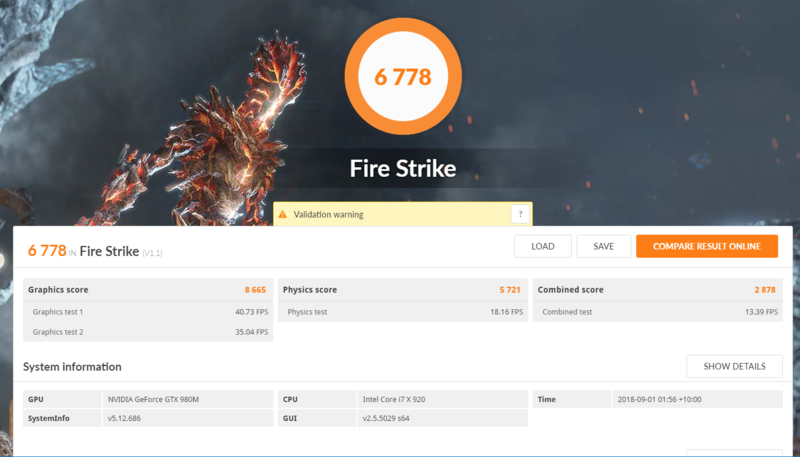 Firestrike is a reasonable benchmark, though there are plenty of others. It is nice to see another example of 980m running in this machine. However, as others have noted, heat and power are the principal issues for the 980m with 920/940 processors near the limit. We all wish you well - perhaps you will find a solution that has been missed. If I overclock my memory I can get it to 3000 so far and my graphics score goes to 9k. 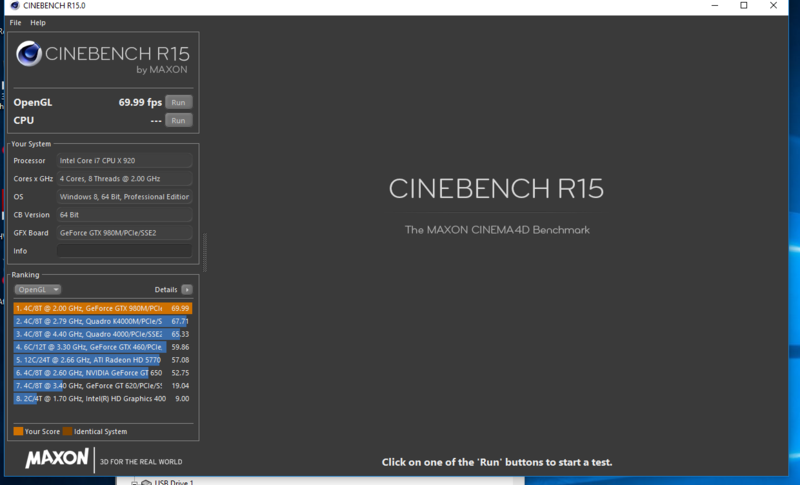 My core clock seems stuck around 949 though boosting to 1040 ish sometimes. One thing I noticed when installing the card was that with the stock screw the heatsink would not make proper contact with the card. I removed the front two screws and replaced them with ones that allowed the heatsink to make contact. Next I tucked a thermal pad underneath the metal bracket that goes over the heatsink where the fan screws in. This makes the back of the heatsink make contact with the rest of the gpu better. https://www.3dmark.com/3dm/28341880? The highest score I was able to get today. This was +79 on the core and +456 on the mem. The cpu was clocked at 28x28x28x27 60tdp 62 tdc. Increasing the tdc/tdp values past that didn't allow me to clock higher it just made my temps sky rocket. 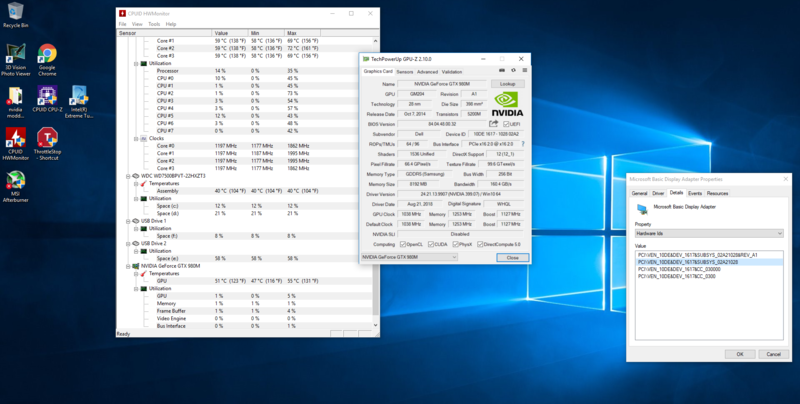 The gpu never went over 66 degrees according to hwinfo during all the tests (I ran about 12) so temps are not a problem.